As far as we’re concerned, spring can’t get here fast enough. Yes, we know, it’s been a mild winter. Still, we’re dreaming of forsythias and tulips, crocuses and hyacinths. Fortunately, the days of budding trees and blooming flowers are just around the corner. In the meantime, here’s an assortment of nature-themed interior décor items—alongside the real things—that remind us that warm weather is almost here. Make a wish on this stylized dandelion light, in sophisticated black and gold. Photo Left: By TripWire (Own work) [CC BY-SA 4.0 (http://creativecommons.org/licenses/by-sa/4.0)], via Wikimedia Commons / Photo Right: Dandelion suspension lamp courtesy of Creative Mary. 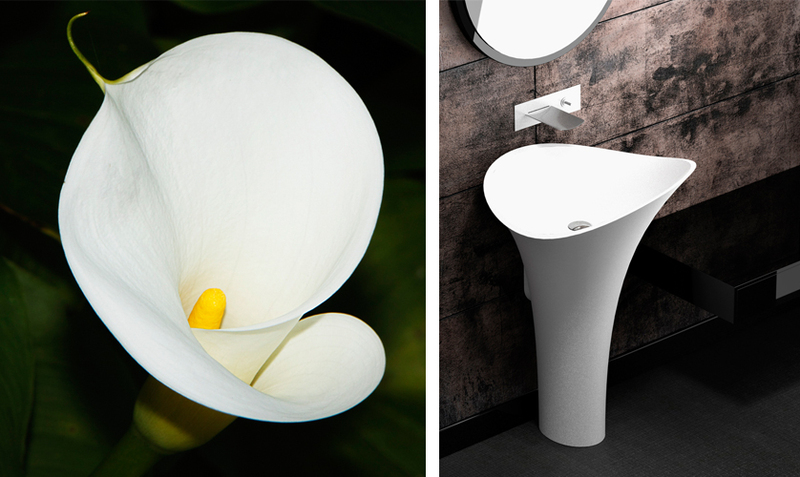 The calla lilies are in bloom again….If not outside yet, then in this fantastic powder room. Coconut palm fronds come to life on this “wild” wallpaper. Surprise! It looks like the inside of an old tree trunk, but it’s concrete! Snuggle into these stone-like pillows. This dresser offers a masterful replica of a stormy sky. Here’s a shell-shaped seat that’s got your back. 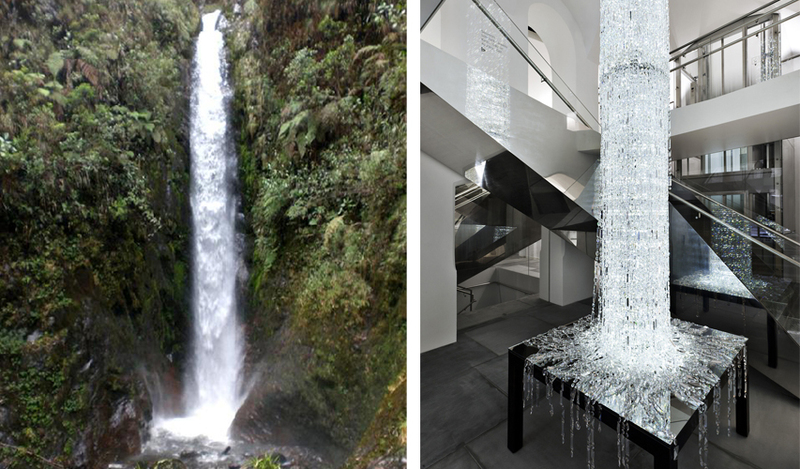 You can have the drama and spectacle of a “water” feature right in your own home! You’re the star surrounded by rays of light when you look in this mirror.